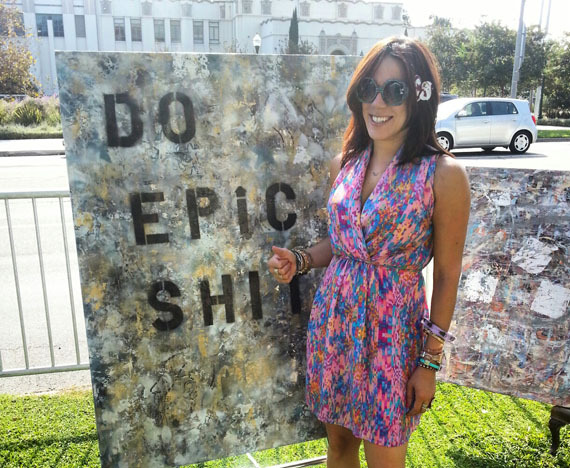 Contemporary Artist Sona Mirzaei Gives Her Art a Workout! 2014 proved to be a busy year for artist Sona Mirzaei. "2015 is going to be even bigger and better," laughed Mirzaei. A determined artist, Mirzaei knows what she wants and goes after it. 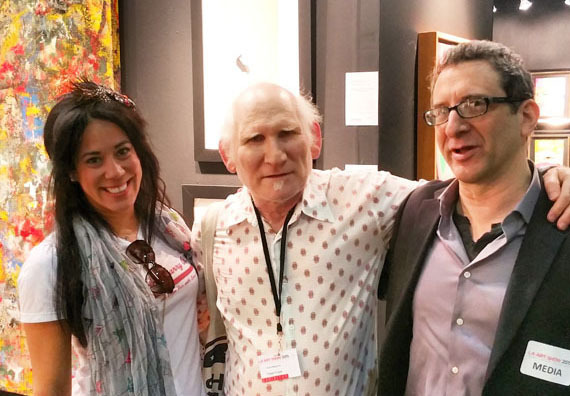 One of her paintings was just featured at the prestigious LA Art Show (Jan 14-18, 2015). Saturday, January 24, her work will be featured in a solo exhibition at Rebecca Molayem Gallery. On February 7, Mirzaei's art will be included in a group exhibition benefitting a local nonprofit to help prevent youth violence for the annual PYFC charity event. Fast-forward to February 17...the artist's work will also be showcased in another solo exhibit as part of a solstice and anniversary event at the Century City location of Equinox Fitness. She has also been asked by one of her collectors to show her work in a private exhibit in Palm Springs this March/April. Although the LA Art market is highly competitive, accomplished art critics such as Peter Frank (Huffington Post, Fabrik Magazine) have taken notice. "Sona Mirzaei paints like a cross between a house on fire and a bat out of hell. She seems almost literally to whip her abstract paintings into shape. 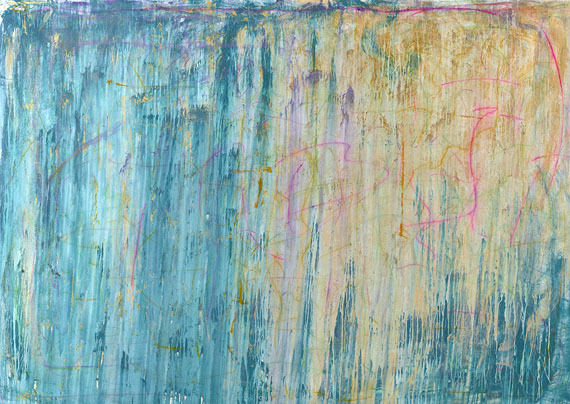 The results of her furious brush-wielding are roiled surfaces and foreign materials brought to a sudden, almost revelatory visual coherency, exciting to witness." 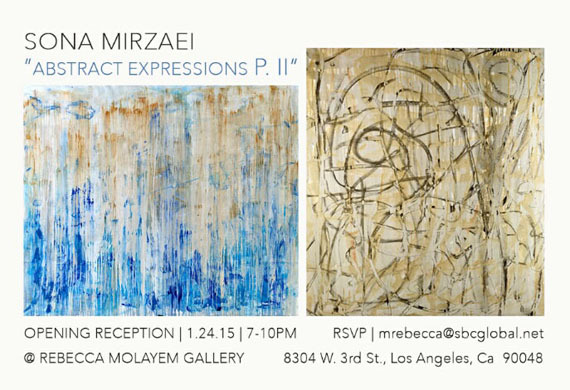 On Saturday, January 24, "Abstract Expressions P.II" opens at Rebecca Molayem Gallery from 7-10pm. 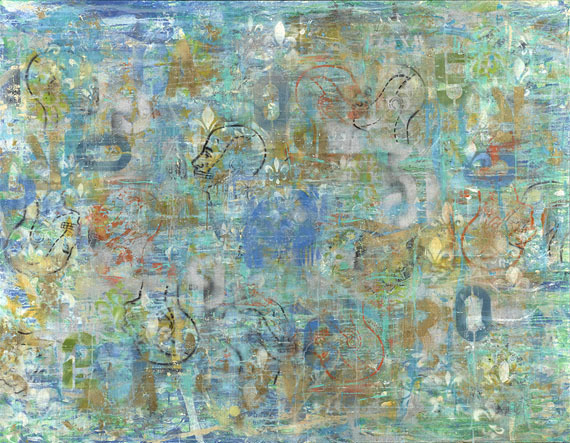 The solo exhibit will feature over twelve abstract works from Mirzaei's ongoing series In Search of Splendor. "I think that Rebecca is an awesome person, and I love that she welcomes selected artists into her gallery," said Mirzaei. "She is also a great artist as well and enjoys bringing the art community together." In February, Mirzaei will be lending her talents to help raise funds for the Pico Youth & Family Center, a Santa Monica nonprofit committed to preventing youth violence. For the past twelve years, PYFC has provided teens and young adults (16-24) with counseling, tutoring, job readiness training, leadership development, music, art, and computer training. When one thinks of a gym, the notion of art does not normally cross one's mind. Mirzaei is helping to instill a more creative ambiance at the Century City location of Equinox Fitness. "There is something truly thrilling about being associated with a commercially successful brand such as Equinox," said Mirzaei. "They have a clean, Zen-like, fun, trendy image, and my work has a lot of these qualities, yet it allows for artistic freedom, culture...it's thought provoking, and this is a nice change for Equinox. Uniting the magic of art with the healing and wellness of fitness is all very cerebral, and hopefully this will encourage the creativity of its members." This past year, Mirzaei's work was exhibited in New York City as part of a group show at NOoSPHERE Arts. The exhibition was presented by the nonprofit organization Art for Progress (AFP) based in NYC. Her paintings were also on view at the Beverly Hills artSHOW as well as part of a group exhibit at Coagula Curatorial. Mirzaei is a frequent visitor to both local galleries and museums. "I attended William Turner Gallery's recent exhibition featuring the art of Andy Moses and appreciated his use of light and motion in his work," Mirzaei recalled. "There is so much great art out there, and I love being able to experience other people's creativity outside of my own. That's the beauty of the art world!"